View the Summa Health case study in pdf form. Summa Health System is a large healthcare organization with over 2060 licensed beds spread across six facilities in Akron, Ohio. It had a tedious and inefficient manual receiving process. Hundreds of packages and products passed through the receiving dock, many without purchase orders or as partially filled deliveries. The manual process was time consuming and fraught with mistakes, often resulting in issues around determination of whom received a package, where the package was delivered to, when the package came into receiving, and proof of delivery. With their manual process, it was difficult, if not impossible, for Summa personnel to create management reports regarding quality measurement, time management, productivity, staffing needs and delivery issues. Finally, the Summa’s chain of custody requirement for every package was challenging if not impossible to manage via the manual process. Minimize the time spent processing and delivering packages. Provide proof of delivery and verifiable chain of custody. Make record keeping and reporting easy and give management the tools to make supportable decisions based on sound data. The VueturaTrac Receiving & Delivery solution gave Summa Health System a state of the art package tracking system using scanners, bar codes, and electronic signature capture. Automating package tracking from receiving to the delivery end point, Summa staff could view items being tracked through the system via an easy to use, web-based tool. In addition, VueturaTrac’s robust reporting capability provided quality and productivity reports used to measure performance and support management decisions. Summa Health System Healthcare’s mission is to provide the highest quality, compassionate care to their patients and to contribute to a healthier community. They understood the importance of having efficient and cost effective operational processes. 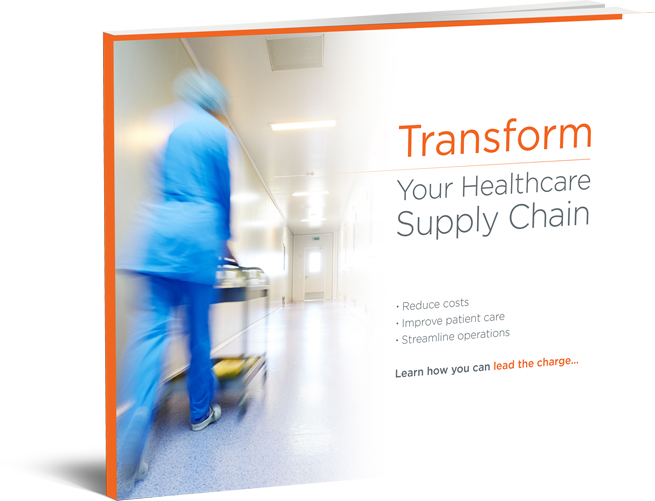 In their effort to better support nurses, doctors and medical technicians, Summa Health System realized that their manual receiving and delivery system resulted in clinical staff spending too much time performing supply chain functions. VueturaTrac Receiving and Delivery streamlined their “dock to delivery” process, while tightening the “Chain of Custody” of all inbound packages. Summa Health System focused on four key attributes when choosing the VueturaTrac solution: accuracy, efficiency, accountability and visibility. Accuracy: As with any manual process, multiple steps and human interpretation increase the chances of error. VueturaTrac offered a simple user interface as well as a complete integration into Summa’s PeopleSoft system. VueturaTrac scanned information off the package label eliminating manual data entry and making package receiving and delivery much more accurate. Efficiency: The Materials Management integration as well as the employee/department feeds provided key efficiencies. Important data such as carrier tracking number, requisition number, vendor number, and other package details are displayed in WebTracker. This web application allows employees to view and track the status of their packages once they arrive at the dock through final delivery point. The details show the full chain of custody, providing times of activities as well as final proof of delivery. This robust search component has a two-fold effect with far-reaching results. First, the receiving and delivery department’s customers could, with a few clicks of a mouse, use the key search fields to quickly locate urgent items, eliminating “where’s my package” calls. Second, the receiving staff could focus on delivering packages because they were spending less time researching items that had already been delivered, or didn’t arrive at the receiving dock at all. A win – win solution for everyone! Accountability: VueturaTrac is a dual accountability tool. First, unique barcodes for each delivery unit make a “Chain of Custody” possible. The status scans and proof of delivery signature results in 100% visibility and 100% accountability for every package. This audit trail is viewable to the receiving and delivery department’s customers as well as their staff. In addition, Summa’s receiving managers verify that receiving and delivery processes are being carried out in a timely fashion. Summa’s teams are fully equipped to measure performance and accountability with VueturaTrac’s automated online reports and query tools for data analysis. Visibility: 100% visibility of every package from dock to confirmed proof of delivery is a key VueturaTrac feature. Eliminating lost or misplaced packages is a huge time saver for receiving and delivery. Buyers and other staff members also benefit from better visibility of their packages arrival or, if it hasn’t arrived, where to start looking based on who had the package last. Visibility has been facilitated by the use of the WebTracker program; Vuetura’s criteria based web application to search package status. Using purchase order number, requisition number, department order received or other programmed criteria, packages can be found quickly and efficiently even given limited information. In addition, VueturaTrac’s automated email notification of package status ensures customer satisfaction by providing ongoing updates of package status guaranteeing clear visibility of the process from start to finish. We believe that the most effective receiving and delivery solution includes a comprehensive evaluation of the client’s operation process with work flow adjustments, if necessary, prior to the installation of the VueturaTrac software at the client site. The outcome of our integrated partnership with customers is that our client’s configured VueturaTrac solution supports a well-designed receiving and delivery process. Vuetura’s Professional Services Team worked in partnership with Summa Health System’s Management Team Leaders in their Supply Chain, Receiving, Construction/Facilities, and Information Technology and Purchasing departments to ensure a successful implementation. The first step was to evaluate the current receiving and delivery process. Vuetura provided an onsite survey followed up by a written operational overview with specific recommendations on how Summa could better receive and deliver packages. Next the VueturaTrac Receiving and Delivery software solution was implemented. The plan included a detailed list of action items with assigned owners and a specific timeframe for completion. Project status telephone meetings assured that the installation progressed smoothly. Summa Health System and Vuetura worked together to install and test the VueturaTrac software and hardware ensuring that Summa personnel understood the new system from its foundation. After installation, processes and functionality were validated and approved and Summa personnel were trained. Once Vuetura trainers determined a readiness to “go live”, VueturaTrac was launched. Additional Vuetura help staff was provided to support the receiving personnel as they moved through the learning curve of utilizing the new system. This complicated multi-site system execution was completed on time and under budget. Before Vuetura, packages were stacked throughout Summa’s receiving dock floor and moved multiple times during package processing. Vuetura’s operational review refined the receiving and delivery process. Conveyors and waist level storage surfaces were installed to utilize better package movement and better ergonomics in handling of packages. This created an even work flow and reduced the risk of injury to Summa’s receiving and delivery team by eliminating hazards and ensuring a clear entrance and egress paths throughout the area. In addition, Summa’s labor is now more efficiently utilized in the receiving and delivery processes. With VueturaTrac one person instead of two are processing each package at the dock. Another process improvement is that the packages are automatically sorted into zones and delivered accordingly. This helped reduce delivery time and package delivery errors. Summa Health System’s manual system required the filing of packing slips. Using paper files to research package history was challenging and time consuming. VueturaTrac automated the entire package receipt and delivery process, so tracking information, including the entire history of a package, was easily accomplished through the WebTracker web interface. Prior to using VueturaTrac, signatures were often difficult to read or were not captured, making proof of delivery almost impossible. With VueturaTrac, handheld scanners now capture key information, such as the signer’s name and location (unit/department), and store this information in the VueturaTrac system. This creates a full “Chain of Custody” that Summa Health System requires. Summa Health System’s manual process could not track packages from UPS, FedEx, etc., as personnel did not have the time to capture tracking numbers. VueturaTrac automatically collects tracking numbers and other package information. Web Tracker then allows personnel to look up information about where packages are in the procurement/delivery process. The result is fewer misplaced packages and a decrease in the number of “where’s my package” calls to the receiving dock. Finally, barcode labels are created and printed out of VueturaTrac for each package, allowing for easier identification and tracking. This label serves as a key component in expediting Summa Health System’s routing capabilities by emphasizing the “deliver to” recipient name and location, along with clear notation of any special delivery instructions. Once purchase orders are received into Summa’s PeopleSoft system, pertinent data is integrated with the VueturaTrac application resulting in the generation of accurate and descriptive labels highlighting delivery information such as routes, locations and recipient. Buyers, nurses and other staff can easily access this information from their desktop. In addition, extensive reporting capabilities provided by the data flow are part of the complete VueturaTrac Supply Chain Intelligence experience. Prior to VueturaTrac, a “where’s my package” call to receiving often resulted in frustration because it was difficult to provide any information about the delivery status of a package. With VueturaTrac, any authorized staff member now quickly pulls up package delivery information with a few clicks of the mouse. This easy access to package status information is a tremendous time saver and has increased Summa morale by empowering personnel with accurate, easy to obtain, information! Historically at Summa, there was no easy way to evaluate receiving and delivery personnel productivity and job performance. That has changed. VueturaTrac’s easy to use reporting capability provides over 25 standard reports, or users can choose to use the VueturaTrac custom report writer to create their own custom reports. VueturaTrac Receiving & Delivery Made a Difference! Training time decreased and it became much easier for personnel to learn the receiving and delivery tasks. This has allowed for greater flexibility in scheduling as new or temporary workers can be brought up to speed quickly. Greater communication and collaboration between the purchasing and receiving teams has created more proactive supply chain solutions. 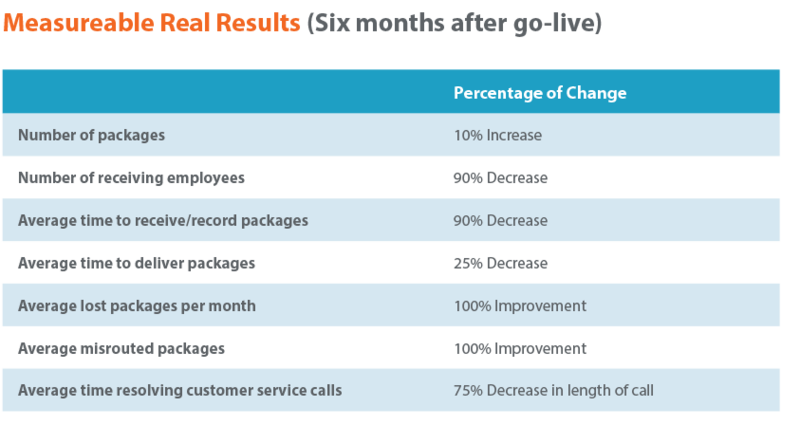 Internal customers have experienced a higher level of service. VueturaTrac reports have accurately measured performance and evaluated processes. This has opened more opportunities for training and coaching. With VueturaTrac packages are received and delivered more efficiently. This simple but powerful change has enabled Summa Health Systems to focus their resources more effectively, and has increased their customer and personnel satisfaction levels. Information gleaned from data gathered through their receiving and delivery operation is now compiled into management reports and scorecards used to better measure and understand their supply chain processes. Vuetura’s long standing commitment to providing customers with 100% accountability and 100% visibility of package receiving and delivery has helped Summa Health Systems reach greater levels of service for their customers. Recordkeeping and Management Inefficient and Limited: Record keeping limited to a file cabinet filled with delivery sheets, no reporting, no accountability, limited. Poor Sustainability: Excessive reliance on copying equipment, paper intensive, long term storage of delivery documents is costly, inefficient and wasteful use of energy. Increased customer satisfaction, quick delivery, delayed items are resolved quickly.